Citrus trees, like lemons and limes, are becoming more and more popular, especially in drier climates. They love the warm air, but water can be an issue that will cause lime tree leaf drop. Find out other reasons for dropping leaves and how to fix lime tree leaf drop in this article. Why is My Lime Tree Losing Leaves? Watering citrus plants can be a little tricky. If you give the tree too much water, you’ll find your lime tree dropping leaves, but if you don’t water it enough, you’ll also find your lime tree dropping leaves. The trick is to find a happy medium. When you have lime trees that are planted, you should water them once a week or so to prevent lime tree leaf drop. Living in a dry area, there isn’t much rainfall. Make sure you plant the tree where there is good drainage and soak the ground well. If the drainage isn’t good enough, you will also find your lime tree losing leaves. If your lime tree is planted in a container, you should water it whenever you find the dirt only slightly damp. Don’t let it dry out completely or you’ll find your lime dropping leaves like crazy. One thing to remember is that watering can be confusing. If your lime tree has been allowed to dry out, the leaves remain intact. 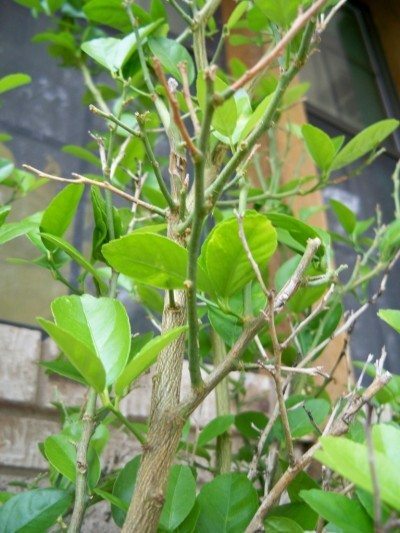 However, the first time you water it after it has dried out, you’ll see leaves falling off lime tree plants because they are sensitive this way. Also, if you give your lime tree too much water, you’ll see the leaves turn yellow. Shortly thereafter, you will see your lime tree losing leaves pretty quick. The appearance of your lime tree will also let you know if it needs to be fertilized. If the leaves are all green and it holds its fruit, your tree doesn’t need to be fertilized. However, if you find your lime tree losing leaves, it probably can use some fertilization. Again, fertilization of citrus can be a little tricky, and if your lime tree looks healthy, you should not fertilize it because this can cause it to produce bad fruit. Not only that, you will end up with lime tree leaf drop. There are some diseases, like foot or crown rot and sooty mold, that can cause lime tree leaf drop as well. 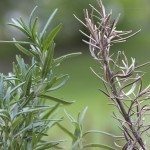 These diseases can be cured, but you need to catch them quickly. So now, if you live in a dry climate and find your lime dropping leaves, you know it could be the water situation or the fertilizer situation. Either way, you can fix the issue and enjoy your lime tree.